In our last post, our featured user Mathew Louis named The Ibis as his favorite title in BHL. Thus, we decided to feature this entire series as our “book of the week” this week. Not only is The Ibis full of valuable information on birds, it’s also loaded with beautiful illustrations, many of which are featured in Mathew Louis’ website. 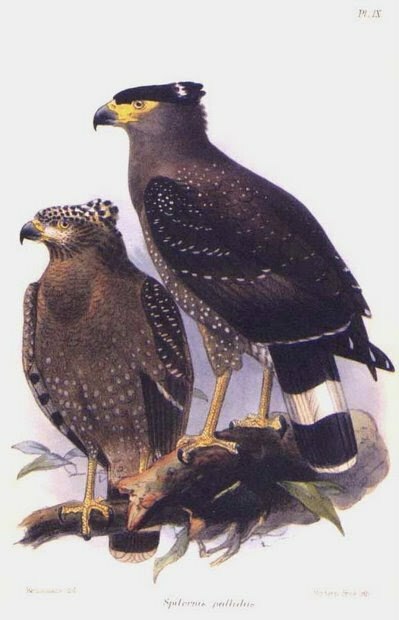 This week we feature one of our users that has taken a particular interest in BHL for the purpose of images, using BHL to strengthen the collection of scientific illustrations found on his website. As our users have long shown a specific interest in the images associated with BHL content, we expect that this post, and the work of our featured user, Mathew Louis, will prove to be particularly interesting to our user community. Book of the Week: User’s Choice – Snakes! This week we decided to put the power of choosing the book of the week in the hands of our users. So, using the “Questions” app on our Facebook Page, we asked you which book out of the four options given you would like to see featured on our blog. The options were The Snakes of Australia, British Dragonflies, La Galerie des Oiseaux, and A Book of Whales. The winner? The Snakes of Australia (1869), by Gerard Krefft! As the planet warms, habitats for a myriad of species worldwide are changing, and perhaps those most affected are the species living in the arctic regions of the globe. These areas are seeing significant increases in average temperatures, changing the dynamics for the life found there. As the planet warms, habitats for a myriad of species worldwide are changing, and perhaps those most affected are the species living in the arctic regions of the globe. These areas are seeing significant increases in average temperatures, changing the dynamics for the life found there. 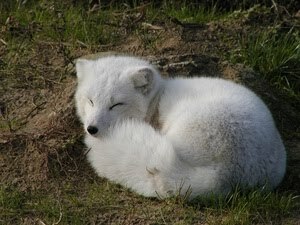 A poignant example of this is the Arctic Fox (Vulpes lagopus), a species whose habitat is being encroached upon by the Red Fox (Vulpes vulpes) as increasing temperatures make the arctic more habitable for the latter (see EOL’s “Threats” tab on the Arctic Fox page). April 7, 2011 is World Health Day. This year, the focus of World Health Day is Antimicrobial resistance, which is a type of drug resistance where microorganisms are able to survive exposure to antibiotics. To combat the spread of this problem, the World Health Organization is releasing a six-point policy package.